Exclusive to Water Garden Ltd, the new WaterGarden RGB Spotlight Set 3 consists of three versatile, colour changing LED lights which can be used underwater or above ground. 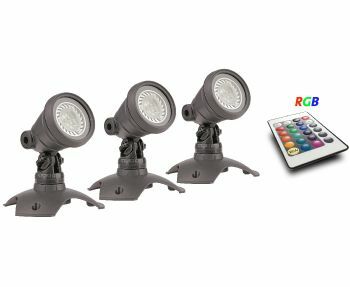 The spotlight set is supplied with a handheld remote controller, allowing the user to choose from any of the 16 available colours simply by aiming the handset at each individual spotlight. The remote also features a colour step and colour phasing option, cycling through all available colours. 3 x Robust WaterGarden LED spotlights, each supplied with mounting base and ground spike. 1 x Weatherproof Transformer and Cable Splitter supplied. 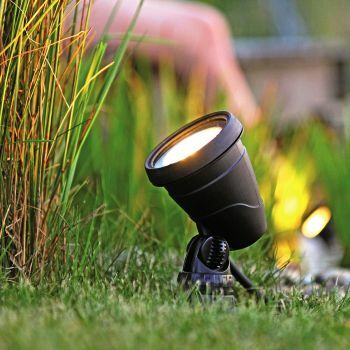 Spotlights are each fitted with 5 metres of low voltage cable and screw threaded terminal. Transformer is supplied with 1.5m of 230 Volt Cable for mains power connection. 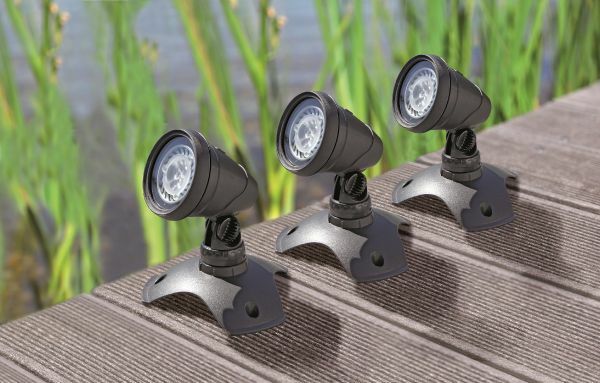 Colour changing spotlights are fully IP68 rated (suitable for permanant submersed use). 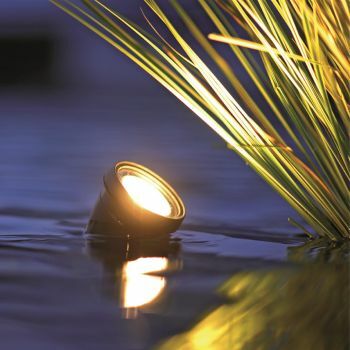 Ideal for ponds, water features, fountains and landscape illumination. 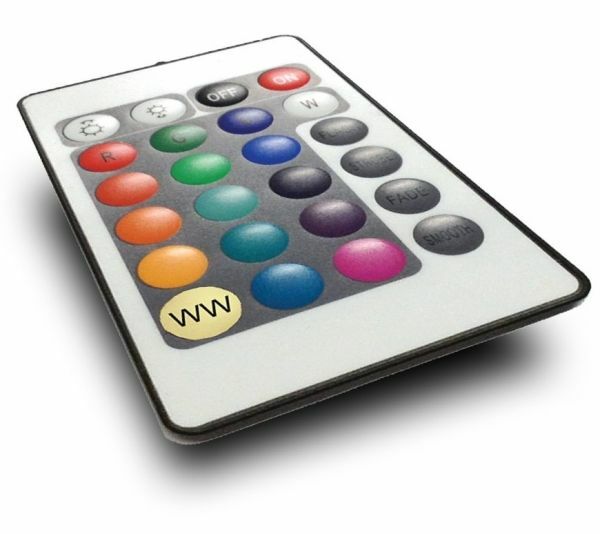 Colours can be changed simply by pointing the remote handset directly at each spotlight. 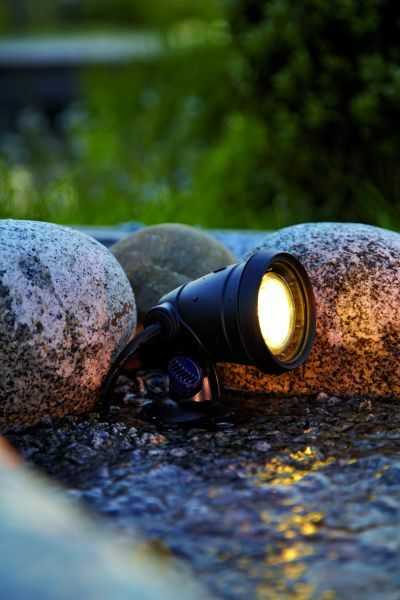 WaterGarden RGB 3 watt spotlight produces around 29 Lumen output each. 2 Year Guarantee (warranty excluding replaceable bulbs).